We are so happy to announce that a mere 4 months after the overwhelming success of our St. Baldricks event we can share the permanent Hope From Harper Hero Fund page. 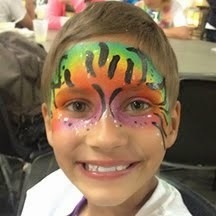 Click here to see the site, dedicated to Hope From Harper efforts with St. Baldricks to fund childhood cancer research. There are many more exciting things to come, and this is just the beginning. Remember to Choose Joy every day, no matter what life throws at you.